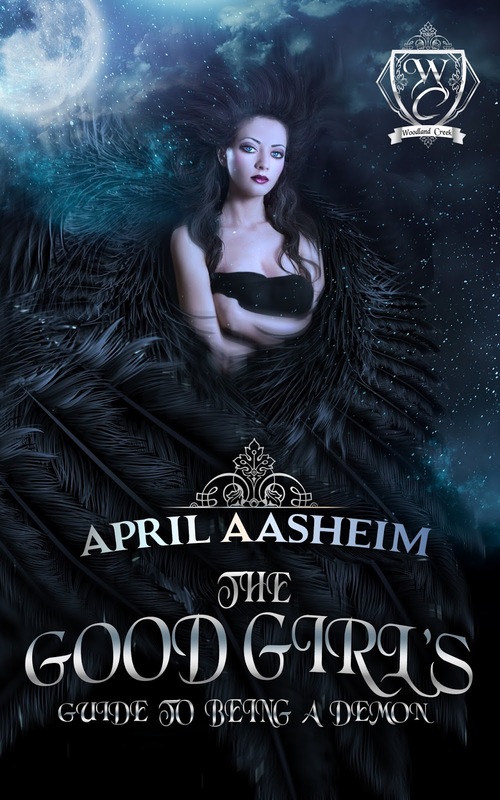 The Good Girl's Guide to Being a Demon is featured on page 30. The 'start' referred to is Maggie's time in the cult. Yes, cult, I said it. I think we can officially agree Maggie was in a cult. There are a few reasons for this, and it was very intentional. The first being that this book was originally defined as 'women's fiction' rather than 'paranormal.' In women's fiction, the emphasis is on relationships and inner problems. For Maggie, who was a middle child and felt at odds with her natural family, her relationship with Michael was her first outside of her family. Its important for the rest of the story, as Maggie (whose mother has always distrusted the male gender) has to learn her own way to love, and to trust men. Its tricky for her, and I really wanted to solidify her heartbreak. That way, IF she can move past it, thats a form of transcendence. Secondly, though my books are about 'witchiness' they are about so much more. Family comes to mind. But more than that, faith. Though it didn't work out with Maggie and Michael's religion, she learned about another faith (misguided though it was). Faith exists in many forms and Maggie had to lose hers again, in order to have it later restored. I also feel its very important to show that one faith is no more important than the other, its just important to believe in something. Sometimes that belief doesn't work out, but that doesn't mean we are done. There are other things we can believe in: a higher power, our friends and family, humanity. I think at times many of us are just stumbling around, trying to figure things out, and I wanted Maggie to embody that human struggle. And finally, some of what happened at the beginning of book one MAY come back later in the series. And Michael may end up playing some pivotal roles. Just because his beliefs have been torn apart, doesn't mean he cant rebuild either. Thats the cool thing about faith. If you really have it, deep down, it might change over time, but it stays there. So yeah, that's why theres the cult scene. And for those of you who've read this book and asked 'is Jason ever coming back' I will say, his story isn't done. It may come back in flashbacks, or stories, or appearances, but he's still around. I kinda fell in love with him and I didnt forget him. He's just not around 'yet'. But more of that in The Curse of Dark Root, Part two perhaps. 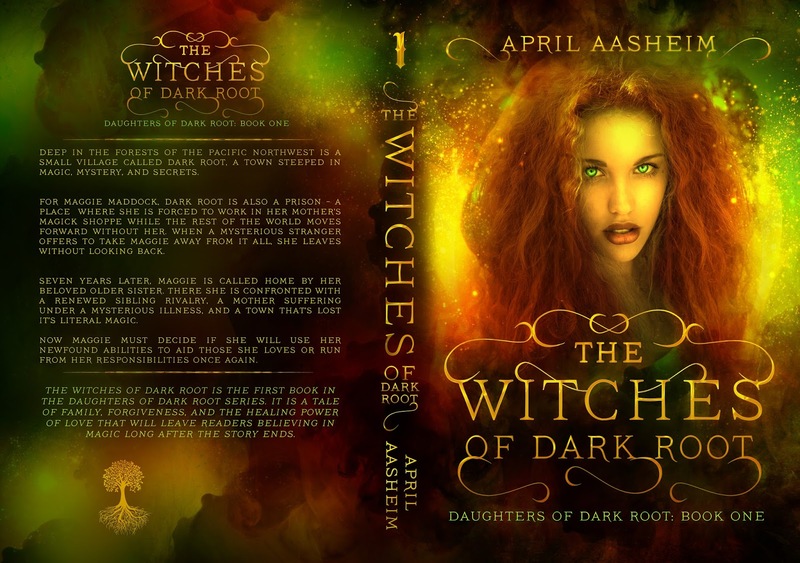 BTW if you haven't read The Witches of Dark Root, you can read it in Happily Ever Alpha, along with 21 other stories, for just 99 cents. Preorder today. I went to Orycon this weekend. This is Oregon's scifi/fantasy con and it was pretty fun. I'm a noob so wasn't sure what to expect but there were some fun panels (which I even helped lead when one of the presenters didn't show up), people dressed up in all sorts of costume, and some 'quiz games' that I was apparently too inebriated to play. One really cool thing was I met a man named Jefferson Davis. He's an anthropologist/archaeologist/historian who wrote books on haunted places around the world, including the pacific northwest. He also helped write Weird Oregon. Mr Davis is going to give me a tour of haunted Portland soon for research on my books and Im so excited. This guy really knows his stuff. At some point I'll be writing Juliana Benbridge's back story for my Dark Root series, and she was cast out of Victorian Portland because of witchcraft. Now, I'll have some great details to add to this. Its always interesting to me who you'll meet in this world, often times unexpectedly. I love that! 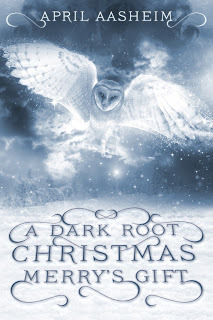 A Dark Root Christmas: Merry's Gift, will be available days earlier than expected! The Maddock girls (when they were young) tackle Christmas in this mystical 20k word novella. Love, family, and magick take center stage. Pre-Order now for just 99 cents. Read on Nov 25th! What's a Demon to Do? 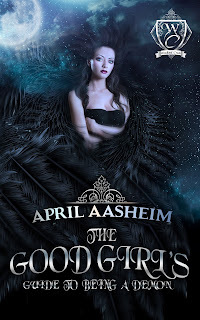 The Good Girl's Guide to Being a Demon is live! Does your lineage determine your life path or do you have free will? A Dark Root Christmas: Merry's Gift is available for pre-order now. Order now, read Nov 29. Just 99cents for a limited time. It plunged from the sky like a china cup toppling from its hook, shattering into a thousand crystalline pieces as it tumbled through the otherwise still winter’s night. Merry closed her eyes, remembering the star’s dance, twisting and undulating against the backdrop of a Dark Root moon. In another moment the star broke apart. Lustrous, golden trains the color of Merry’s hair followed the fragments as they streaked across the sky. “Mmm,” Aunt Dora half-heartedly agreed as she tried outlet after outlet without success. It was an unwieldy burden for a ten-year-old child, and one Merry couldn’t possibly fathom, but she took her Aunt’s news with a patient resolve. She couldn’t be afraid. If she were afraid, her sisters would be, too. Besides, the star tails hadn’t all died. There was one fragment that survived the fall, one small star seed that Merry hadn’t mentioned. It had dropped softly into the forest just yards away from her. She ran for it, unafraid of the night or the creatures lurking within, trying to reach it before it dissolved into an earth softened by light snow and heavy rains. And when she found it, she stopped and gasped, her cornflower blue eyes full of wonder. Where the star tail had fallen there was now a tiny bright light springing up out of the ground, a light no larger than the palm of her hand. It shone like a lit candle, casting a white halo on the already powdery forest around her. And as Merry stepped tentatively forward, she saw that in that light there was a silver tree sapling. Rich on the nutrients of the star-shard and the magic of Dark Root soil, the silver tree grew before her eyes until it nearly reached the height of her knees. “Oh!” was all she could say, then quickly recovered from her astonishment. She made a silent wish on the seedling, though she didn’t know if a wish would take when the star was no longer in the sky. But it was her only chance and she made her wish like only a child could - with reverence and a certainty that there was someone watching over her, and that special someone had sent her the star. It was nearly her birthday after all. Merry didn’t tell a soul about what she’d found or the wish she’d made. Not her teddy bears or her dolls, nor her sisters or her mother. Not even her Aunt Dora, who had now tossed out the old mixer with the casualness of one throwing out a cat for the night, and was whisking her cake batter by hand, grunting and huffing all the while. There was one other omission to her story - the white, baby owl she’d found huddled near the sapling, covering its face beneath a wing. “You’re beautiful,” she told the bird, taking him with her as she returned back home. Merry told no one of these discoveries. For she was the keeper of secrets, then, and evermore. 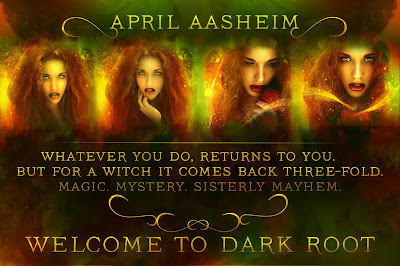 And if you want to sign up for my newsletter its at www.aprilaasheimwriter.com. Lots of fun info and prizes!